Whether parts are made by conventional machining, casting, EDM, or laser sintering, the surface finish won’t be perfect. Instead it will have some amount of pits and burrs, especially in the hard-to-reach internal passages. Fortunately, our process for internal deburring in Dallas TX can polish even the most convoluted internal passages to remove even the tiniest burrs. The good news is, you can easily grind away burrs and improve your parts with Extrude Hone AFM’s internal deburring in Dallas TX. 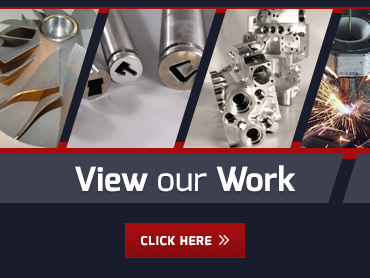 At Extrude Hone AFM, we have pioneered a highly precise and totally controllable process for internal deburring in Dallas TX. The process involves suspending an abrasive grit in a specially formulated polymer and running it through the part under pressure. The grit is constantly recycled within the flowing polymer to provide uniform abrasion. By choosing harsher or finer grits, thicker or thinner carrier media, and higher or lower concentrations of grits in the media, and by controlling the speed, pressure, and temperature at which the material runs through the internal passages, we can produce the exact result required for your application. The process results in highly uniform results on all internal surfaces, so that the part’s geometry is not compromised by rather enhanced by the deburring. When you need internal deburring in Dallas TX for a precise application, rely on Extrude Hone AFM. We’ve worked on all kinds of parts made from the toughest super alloys to softer metals like aluminum and copper. For a quote on your project, please call (562) 531-2976 now.